Dry, Chapped, and Cracked Lips Are a Thing of the Past! When you're busy and out and about, it's easy to forget to take care of your lips, but your lips need lots of TLC, especially with winter rapidly approaching. So say goodbye to dry, cracked and chapped lips and say hello to Evolution of Smooth lip balms. Evolution of Smooth, or EOS as it is popularly known, is easily available at your local drugstore and many other retailers, so you never need to worry about running out! Lip balms are plentiful at any store, but there's lots of reasons to choose Evolution of Smooth. First and foremost, EOS has tons of options! 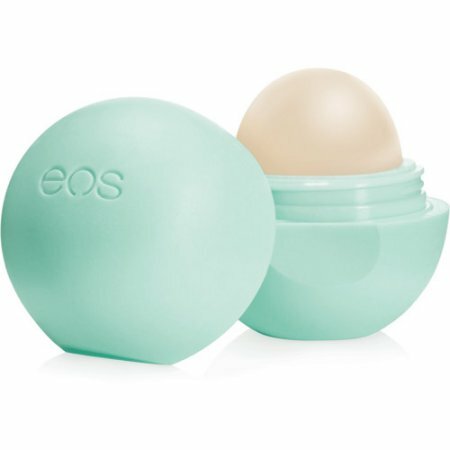 Their EOS lip balm quickly became iconic, and while they look quite cute on a counter or dresser, the best part about these lip balms is the many flavor options! So, you can always get the lip care that you need in a flavor you love, like Coconut Milk, Vanilla Mint, or Pomegranate Raspberry. EOS has everything you want and need in a lip balm. Their products are so moisturizing, thanks to the shea butter and jojoba oil used to formulate them. A little Vitamin E also goes a long way in keeping your lips healthy. Also, you know that annoying feeling when you have about 200 tiny tube lip balms and can't find a single one when you need it? Well, that doesn't need to happen anymore! The unique shape of the lip balm spheres makes them super easy to find in your drawer or purse! Plus, if you need a little extra care for painful, cracked lips, there's even a medicated version! In addition to all that good stuff, EOS is also incredibly affordable! Keeping your lips soft and healthy shouldn't break the bank, and with EOS, it won't. So head out now and grab some! Nice post. I think I am the only one who has never used EOS products. I will definitely see if I can get along with it. Haven't tried EOS balms yet but they surely sound great. Thanks for sharing.